These 4600 cu.ft. 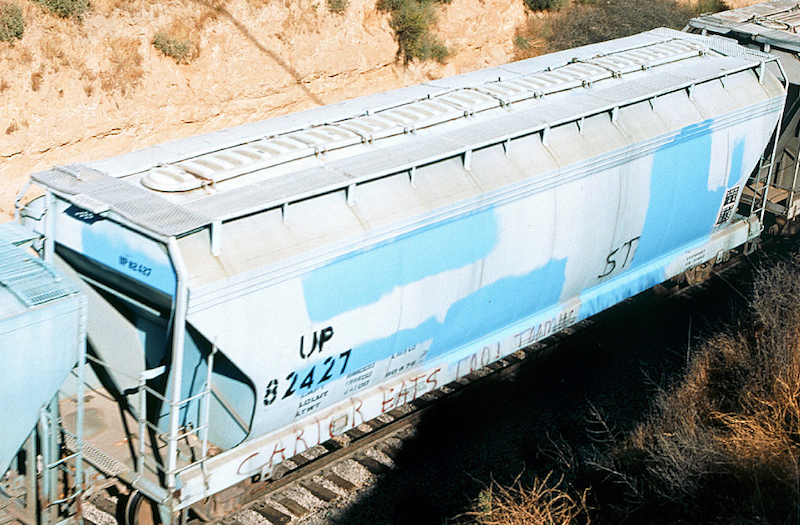 3 Bay Centerflow Covered Hoppers are painted blue w/white paint-out markings, black lettering, and will feature light/moderate to heavy rust & weathering to simulate a real world appearance. All cars will have reflectors. Gravity fed, these hoppers are 100 tons, measure 55' 5" long, and run on Barber Roller Bearing trucks. 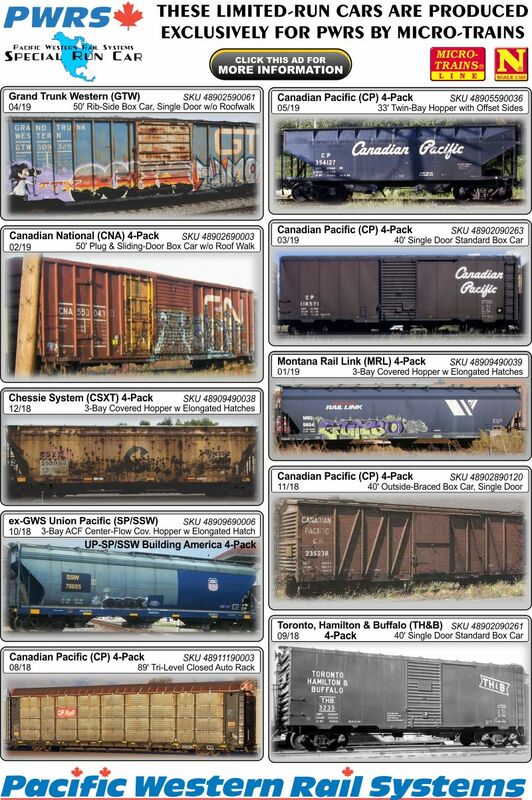 This is a Pacific Western Rail Systems exclusive 4-Pack.